Woman sentenced on felony meth conviction in Washburn County. WASHBURN COUNTY — A woman facing felony methamphetamine charges in Washburn County has been sentenced. 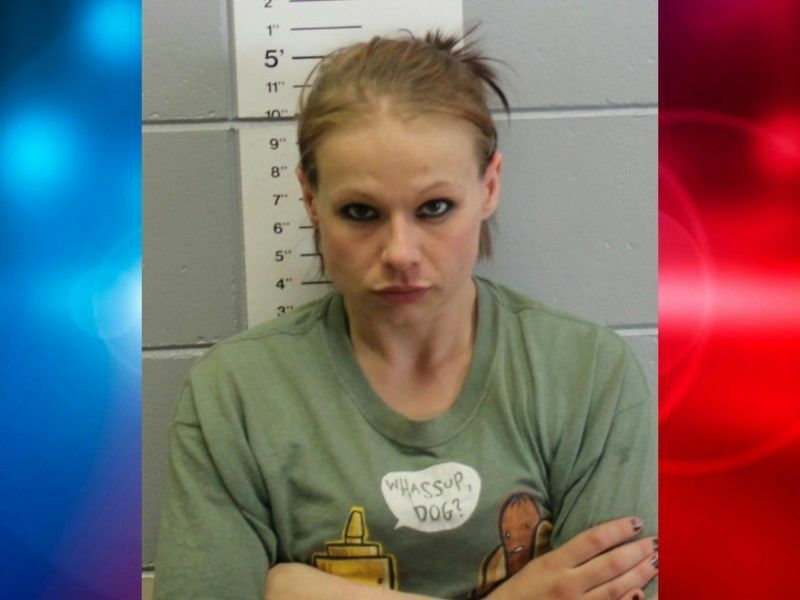 DrydenWire.com reported in September 2017 that Aleica Springer of Spooner, WI was facing felony charges after a traffic stop led to the discovery of two clear gem bags containing methamphetamine and numerous items of drug paraphernalia. Officers determined that the drugs and paraphernalia belonged to Springer. Charges of Class I Felony Possession of Methamphetamine, and Misdemeanor Possession of Drug Paraphernalia were filed against Springer. In November 2018 Springer entered a plea of no contest to her charge of Class I Felony Possession of Methamphetamine. The charge of Misdemeanor Possession of Drug Paraphernalia was dismissed but read in along with charges of Class H Felony Bail Jump, Class I Felony Possess THC - 2nd & Subsequent, Misdemeanor Domestic Disorderly Conduct, and Misdemeanor Possess Drug Paraphernalia that were filed against Springer in May 2018 in a separate case. At Springer’s sentencing hearing on February 4, 2019, the Court ordered a withheld sentence for Springer with 3 years of probation. Springer was ordered to continue her mental health treatment and she is prohibited from possessing or consuming any alcohol or any controlled substances unless properly prescribed. WASHBURN COUNTY — A Spooner, WI woman is facing felony methamphetamine possession charges following a traffic stop by the Spooner Police Department on August 30, 2017. According to the criminal complaint filed in Washburn County Circuit Court, Aleica Springer, of Spooner, WI, was a passenger in a vehicle which was stopped by a Spooner Police Officer on August 30, 2017, at around 11:00 PM. The vehicle was stopped because there was no license plate displayed on the rear. Officers requested identification from both the driver and the passenger. Springer reportedly was exhibiting erratic movements and nervous behavior as she searched for her ID. The male driver of the vehicle was also reportedly behaving nervously, and after identifying himself, showed the police officer the license plate and said that it had been knocked off the vehicle. The criminal complaint states that officers believed that Springer was under the influence of some type of substance based on her behavior. The male driver was advised that due to the circumstances, officers would be conducting field sobriety testing with him as he was the driver of the vehicle. After completion of the field sobriety testing, it was decided by the officers on the scene that the male driver was not under the influence of any substances. It is not known to DrydenWire.com at this time if any criminal charges are to be filed against the male driver of the vehicle, so at this time, his name will not be released. When the items were located inside the purse identified as belonging to Springer, she was placed under arrest and according to the criminal complaint, Springer was yelling at the officer and pulling away from the officer even though the officer was attempting to loosen the handcuffs which Springer had said were too tight. Officers interviewed both the male driver of the vehicle and Springer and it was determined that the items of drug paraphernalia and controlled substances belonged to Springer. Online circuit court records show that Springer appeared for a bail bond hearing in Washburn County Circuit Court on August 31, 2017, and was placed on a $500 cash bond which was posted that same day. A criminal complaint was filed against Springer in Washburn County Circuit Court on September 7, 2017, charging her with Class I Felony Possession of Methamphetamine, and Misdemeanor Possession of Drug Paraphernalia.